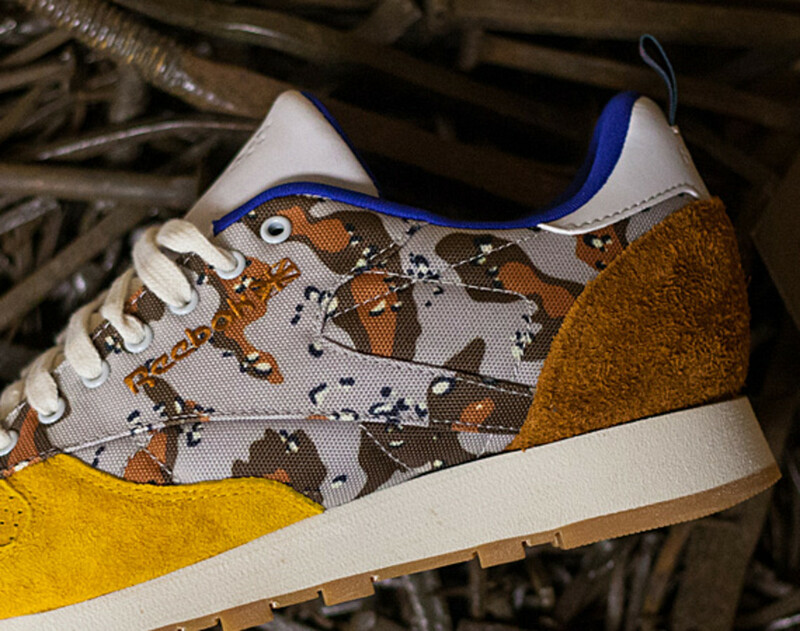 Immersed in a good dose of militarism and tradition, the design team over at BODEGA, the Boston area retailer, reconstituted the Reebok Classic Leather Lux into something which they called “U.S.B.D.G.A.” Featuring a rugged canvas upper in the old “chocolate chip” desert camouflage at mid-foot, the perforated suede toe-box in mustard yellow covers the front while a suede heel cup, this time in peanut butter colorway, covers the rear. 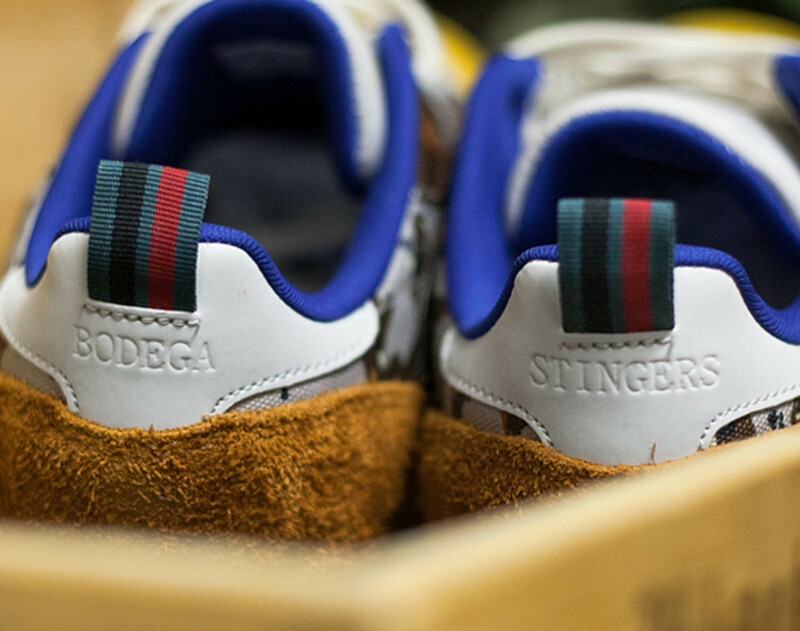 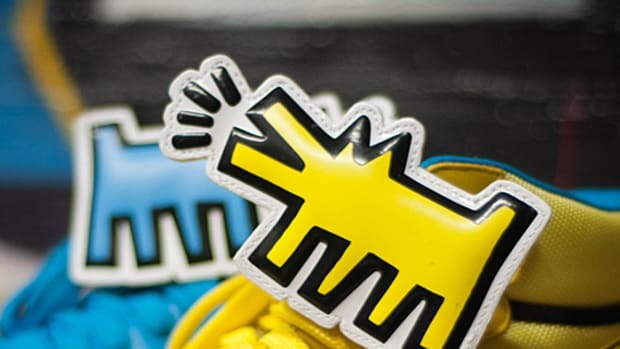 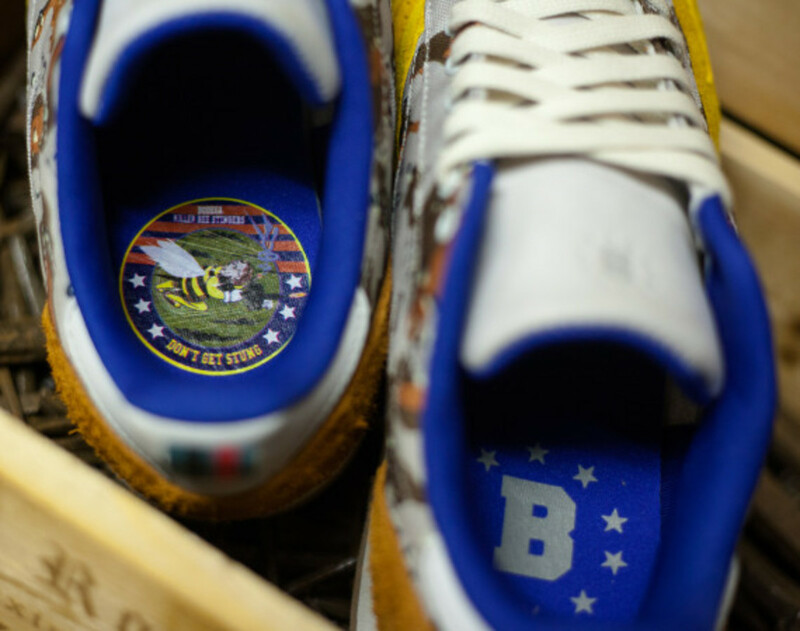 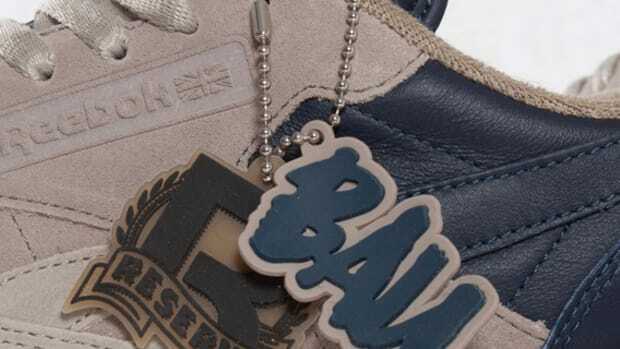 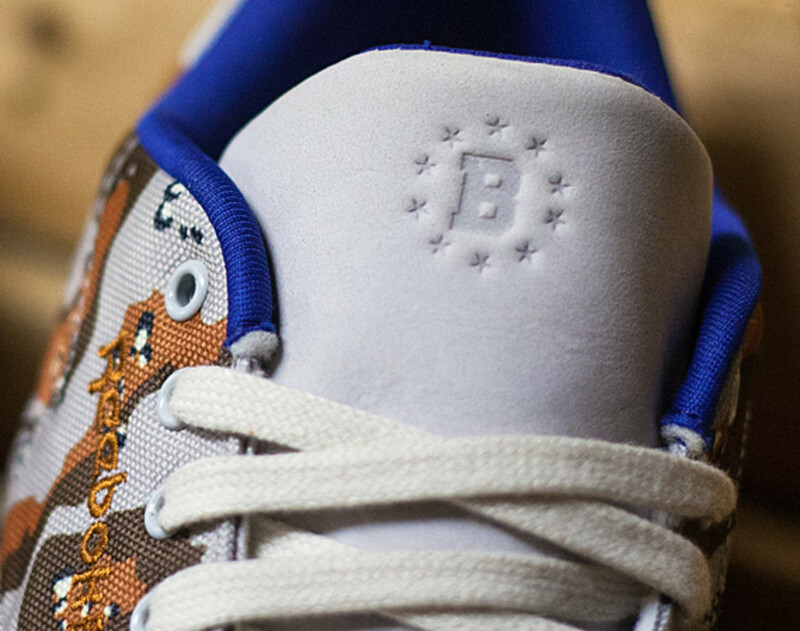 With both heel tabs feature tri-color stripes found similarly on military uniforms, an imprint of BODEGA’s fictitious “Killer Bee Stingers” spec-ops team patch in on left insole while the store’s “B” insignia is on the right. 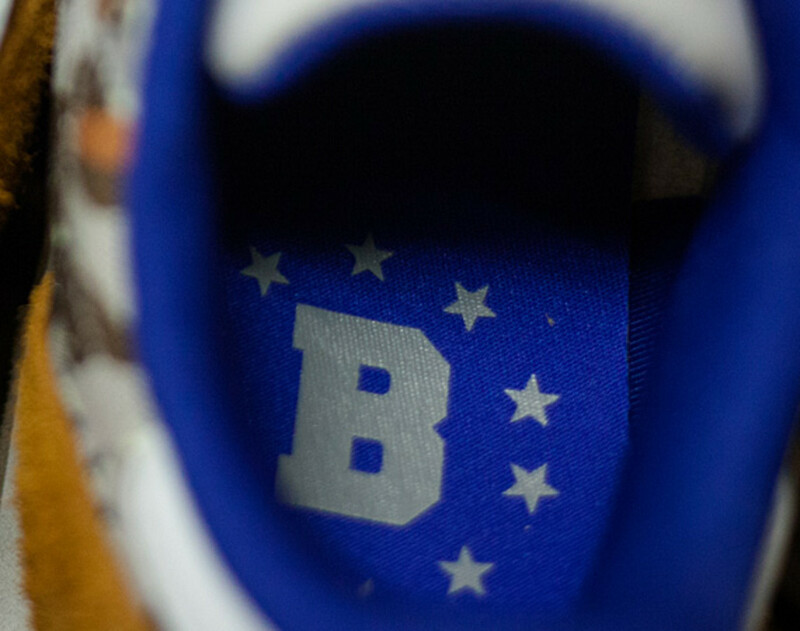 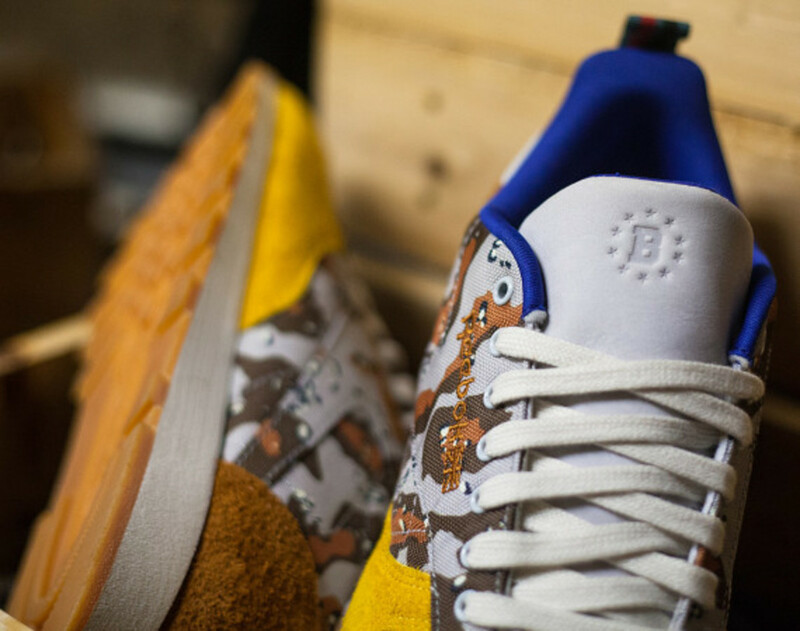 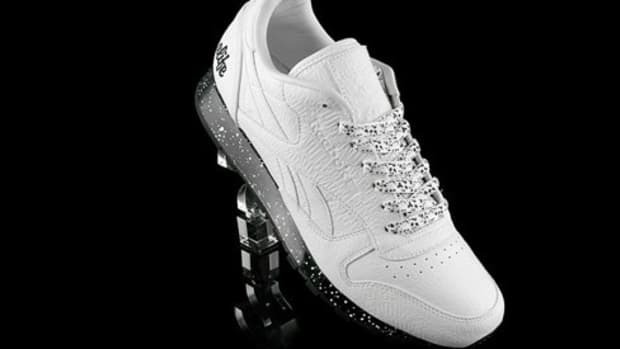 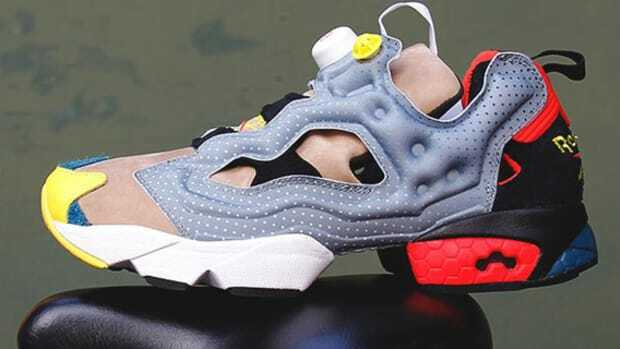 To complete the design concept, the sneakers include a royal blue lining, an off-white mid-sole and gum rubber outsole. 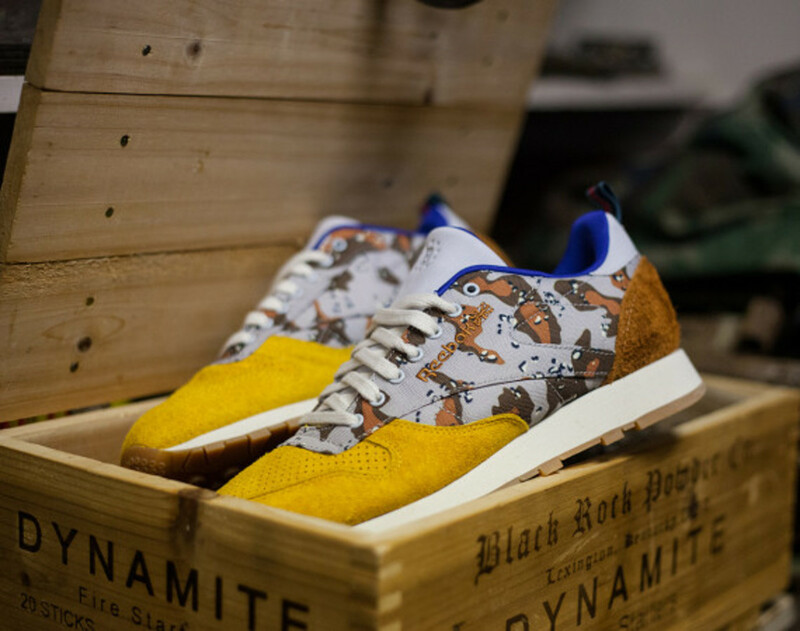 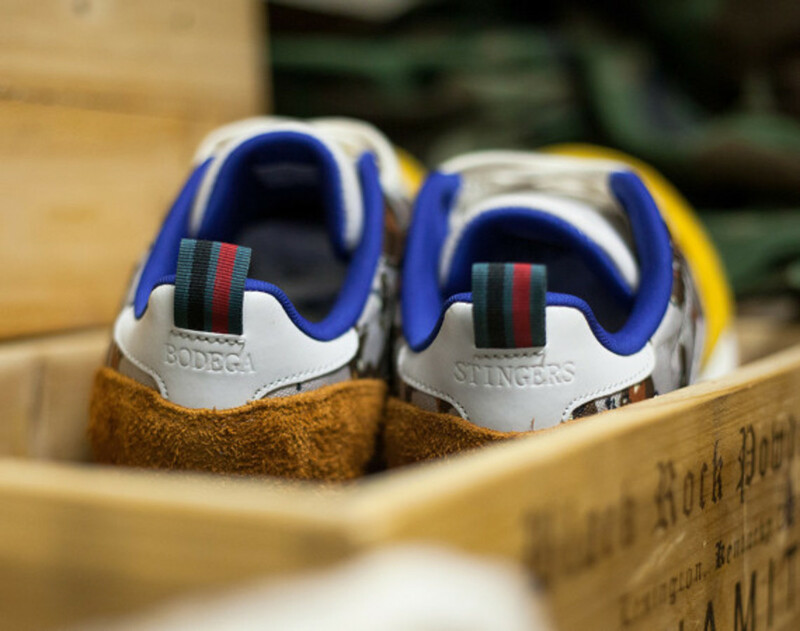 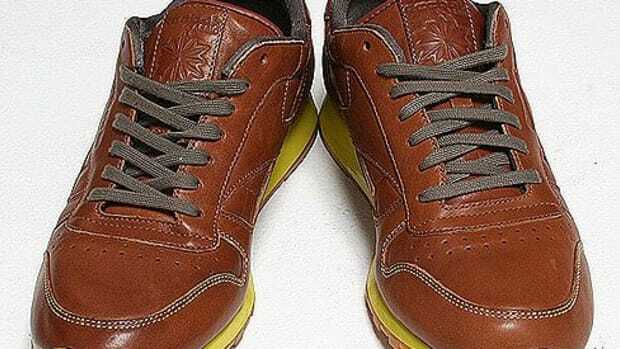 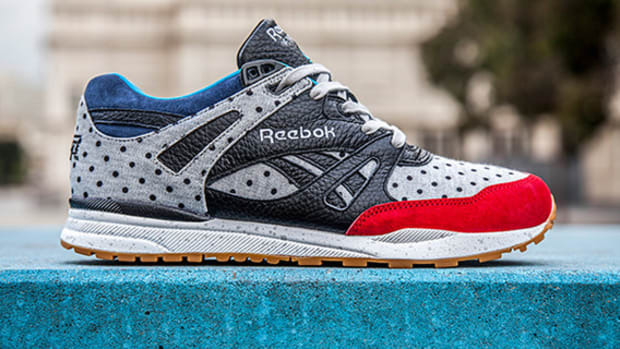 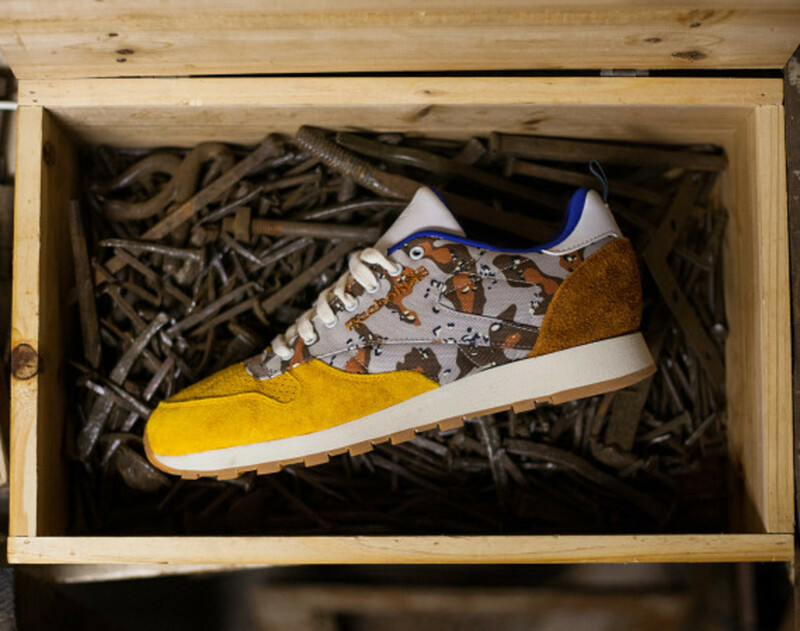 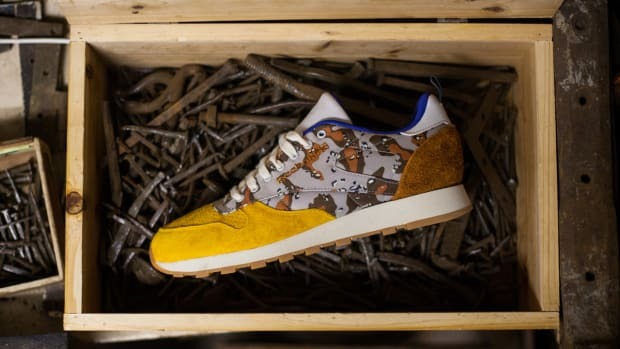 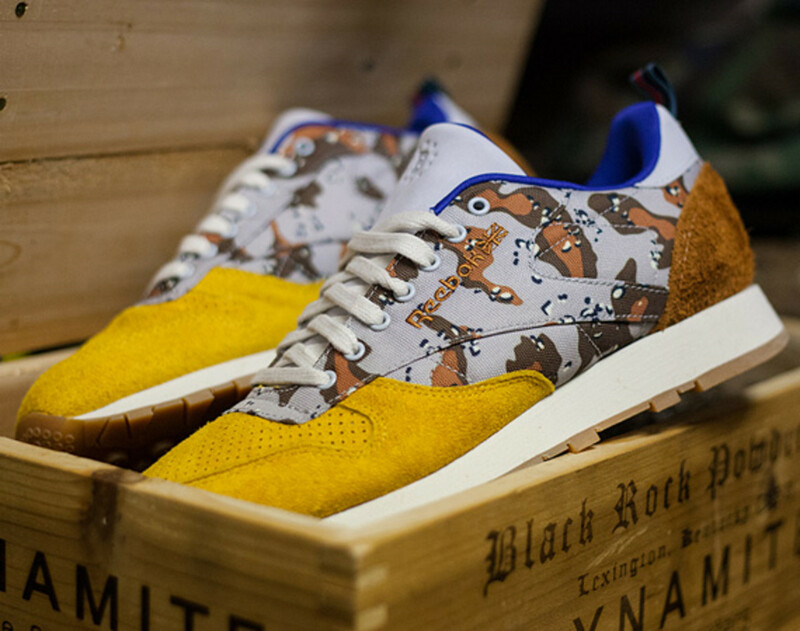 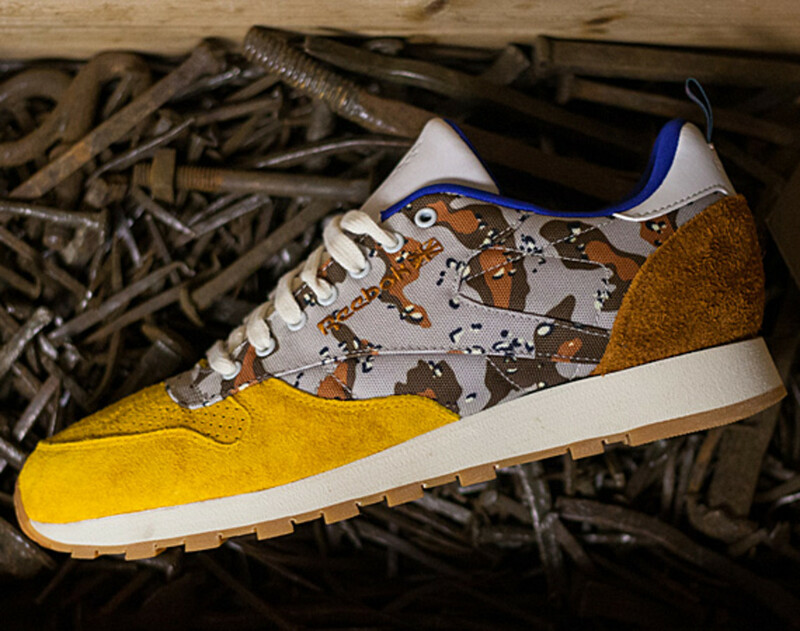 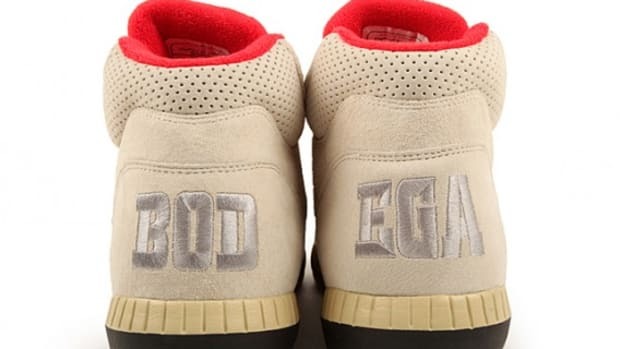 Comes with an extra pair of red laces as well as a matching t-shirt printed with a “Bee” pin-up girl, a military aviation tradition before a government issued decree in 1993 to have gender-neutral decoration instead, the BODEGA x Reebok Classic Leather Lux “U.S.B.D.G.A.” will be available in a few hours at Midnight Tonight exclusively through BODEGA.